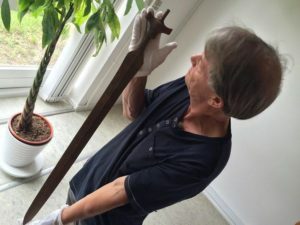 An ancient sword was found in Denmark by 2 amateur archaeologists in the western part of the large Danish island of Zealand, home to Copenhagen. 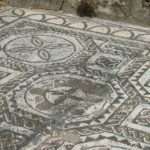 In the small town of Svebølle, Ernst Christiansen and Lis Therkelsen unearthed the find of a lifetime. 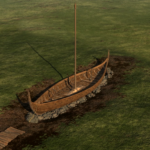 It is not totally unheard for people in Scandinavia and northern Europe to find relics from the Viking Age, or even earlier, buried in the soil of their homeland. If you go onto YouTube, you can find many videos of Danes, Norwegians, Germans, or Swedes finding coins and pieces of jewelry with their metal detectors. 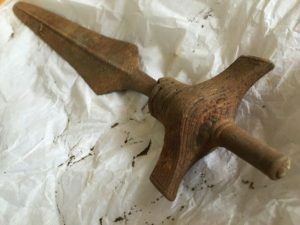 What is rare is someone finding a sword – through a reindeer hunter in Norway did find one simply sticking out of the ground in the area revealed by a retreating glacier. However, Christiansen and Therkelsen have got this beat. 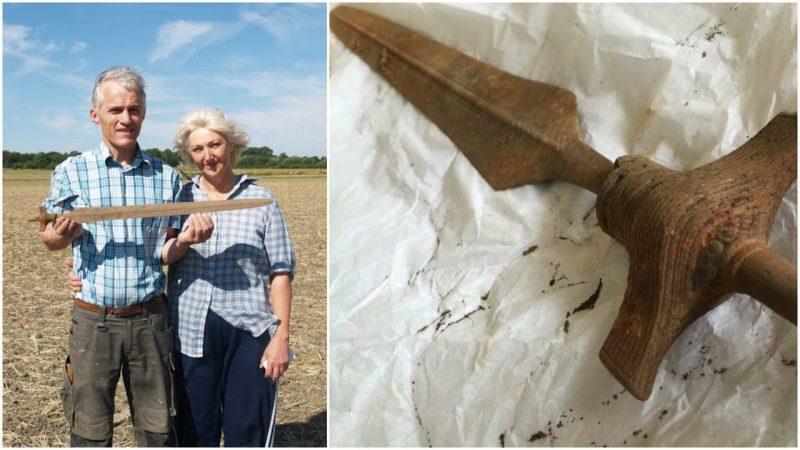 The sword they found pre-dates the Vikings by around 1,000 years. On top of that, the sword was/is well-preserved and most amazingly, is still sharp. 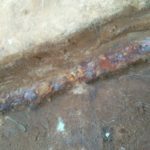 The weapon was found just over a foot under the earth and had been there, untouched since the Nordic Bronze Age. Bronze Age Apa type swords, 17th century BC. During the last Ice Age, glaciers covered most of Europe with the exception of the Iberian peninsula and the Mediterranean Basin. 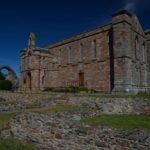 Many of the ancestors of today’s northern European peoples lived in what scientists today call the “Iberian Refuge” — today part of the Spanish peninsula. There they lived until the weather changed and the glaciers that covered northern Europe and the Scandinavian peninsula began to recede. Scientists approximate this at about 15,000 years ago. The last areas to become re-populated were the northern reaches of Europe and Scandinavia, about 12,000 years ago. The cultures that moved into the area, like the others in Europe, were Stone Age people, and it took another 10,000 years for the Bronze Age to begin. Arne Hedegaard Andersen holds Bronze Age sword. People in Scandinavia during this time lived in small settlements or nomadic tribal communities. To date, archaeologists have not found any Bronze Age settlements in Scandinavia that would indicate the existence of large towns or cities. The 2 areas of settlement were on higher ground or by the sea, like Zealand/Svebølle. From the evidence to date, the people of the time were both farmers and hunters, including fishing and whaling. Oxen were used for farming and dogs for herding and guarding. Horses were also kept, likely only by high-status people that could afford to care for them. 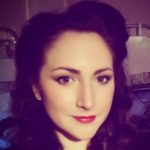 One of the ways we know of life in Scandinavia during the Bronze Age is through petroglyphs, rock carvings which illustrate everyday life as well as supernatural beliefs and great events. Amazingly, some of the Bronze Age petroglyphs show Nordic people on boats similar in shape to what followed later during the Viking Age. Decoration on hilt of Nordic Bronze Age sword. We also know from discoveries both in Scandinavia and in other parts of Europe that large-scale trade took place in Europe at the time. 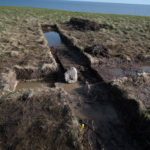 The notion promulgated in popular TV shows such as the History Channel’s “Vikings,” that Norse people did not know of lands to the west, is utterly false. The people of Scandinavia, especially Denmark, would have been familiar with goods from what is today France and England. 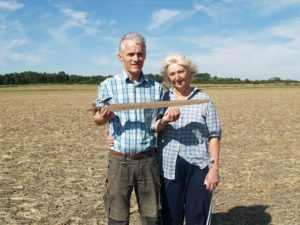 Finders Ernst Christiansen and Lise Therkildsen with the Bronze Age sword. Whoever made the Danish sword had great skill. As was mentioned, the blade was still sharp millennia later, but the pommel and hilt of the sword (the leather that made the grip has long since rotted away) show intricate and decorative bronze work. This was an expensive piece of weaponry and may not have been used in battle but as a mark of status. Most warriors of this and later Viking times would have used axes, clubs or spears. Over the last few years, so many finds have been made in Denmark that the Danish National Museum has a back-log of ancient discoveries that they have not been able to even start cataloging.